The needs of a growing company are many. Few companies are able to achieve that growth without assistance from their partners and/or suppliers. Banilla Games has been the cornerstone for the growth of our company through general industry knowledge, gracious terms and a product line that is a head above the competition. It appears that the entire team at Banilla has a goal of creating personal relationships with their customers and instilling an element of trust that is hard to find elsewhere. They are always striving to better themselves through product innovation and gaining knowledge of various existing and emerging markets. They truly do put the customer first. I have been in the Georgia Skill Game market for over 25 years. For most of that time, we had very few options as far as manufacturers. That changed in 2014 when Banilla Games entered the market. Since 2014, I have converted over 70% of my route to games by Banilla. I think the appeal from the player’s perspective is the great graphics and the excitement of the bonus rounds and other features. I have seen many different games come out over the years that were profitable at first because they were new. Play would quickly drop off on most of them though. With Banilla’s games, they just keep going and going. The Players love them and keep on playing them. To me, the most important thing is that Banilla continues to come out with new exciting games that make me money. Also important to me is the exceptional customer service. Every person I’ve dealt with at Banilla has been great. They always get me what I need or do their best to make it happen. To me, the very best thing about Banilla Games is their Integrity. From the bottom to the top, they keep their word. Based on my experience in my 26 years in this business, they top the list of companies that always try to do the right thing by their customers. Not only do they put out quality products that consistently make money, they stand behind their products with the best customer service in the industry. I have been in the COAM business for almost 30 years and Banilla has made a splash in our industry that has been amazing. Their sales and service is unequaled in our state. They will go above and beyond to satisfy and make the customer successful. Their product is also a great performer and it is making drastic changes to our industry that is causing the other manufacturers to step up their game. That is very refreshing based on the monopoly with which we have dealt for quite some time. Last but not least, the participation of Banilla’s owner in GAMOA is unmatched, Garrett really puts his money back into the industry that helps support his company. 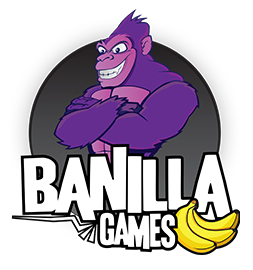 Not only is the entire staff a pleasure to do business with, our Banilla games are out-earning all their competitors on our route! It’s not surprising that Banilla seems to be outpacing the competition considering the innovation they have brought to the Georgia COAM market. I look forward to many more years of Banilla products!